Two Tibetan teenagers died after they set fire to themselves in protest at Chinese rule, reports and Western rights groups said, in a rare instance of a double self-immolation in the restive region.The former primary school classmates were named as 18-year-old Sonam Dargye and a 17-year-old identified by US-based Radio Free Asia (RFA) only as Rinchen. They died Tuesday in Aba prefecture, a Tibetan area of Sichuan province in southwestern China, RFA said, where a wave of the gruesome acts have occurred. 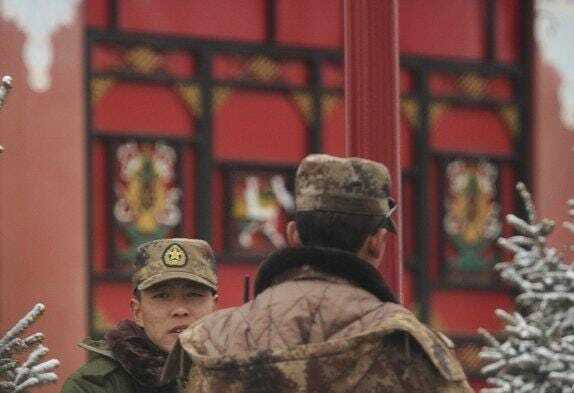 The self-immolations followed the reported death Sunday of 49-yaer-old Namlha Tsering in the middle of a busy street in Xiahe county in the northwestern province of Gansu, RFA added. On its website it showed a photograph of a man purported to be Namlha Tsering engulfed in flames, sitting in the road with his legs crossed as cars passed by. Free Tibet said the man, who was also known as Hoba, left a wife and four sons. More than 100 people have set themselves on fire in protest at China’s rule since 2009, at least 85 of whom have died, according to reports. The Washington-based International Campaign for Tibet said at least 22 of those who have set themselves alight were aged 18 or under, including Tuesday’s double immolation. Beijing rejects criticism of its rule, saying Tibetans enjoy religious freedom and pointing to huge ongoing investment it says has brought modernisation and a better standard of living to Tibet. Authorities have sought to crack down on the protests by arresting those it accuses of inciting them and prosecuting them for murder, and have embarked on a major publicity drive on the issue in recent weeks. Beijing accuses the Tibetan spiritual leader, the Dalai Lama, and his “clique” of inciting such acts to push a separatist agenda. But the Dalai Lama says he is seeking greater autonomy rather than Tibetan independence. The Nobel laureate fled his homeland in 1959 after a failed uprising, and has since based himself in the Indian hill town of Dharamshala.